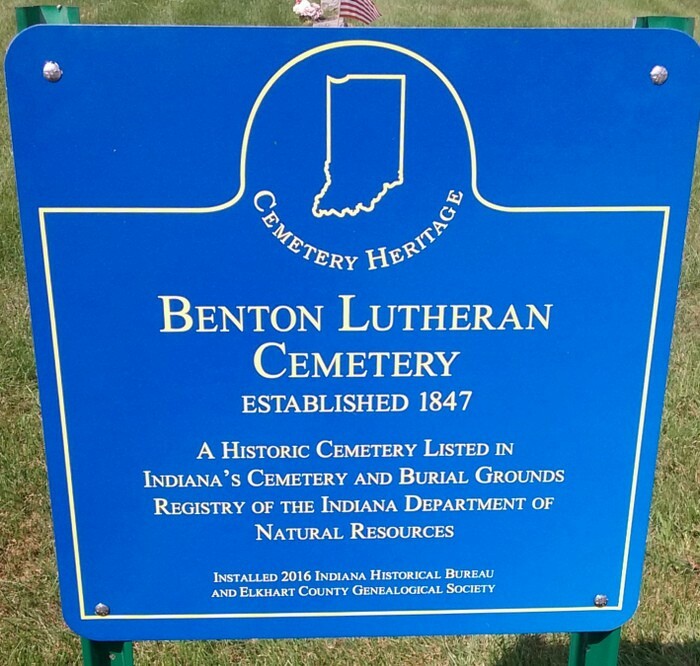 Located on the northeast corner of County Road 33 & 44, east of Benton, Indiana. Martin & Barbara Vance gave 1 1/2 acres, October 11, 1847 for a burial ground. Oldest burial found is in row 11, for Daniel Boomershine, who died Sept. 5, 1841. All rows copied from West to East, with graves from north to south. There are 11 stones unreadable. Cemetery updated, October 19, 1987.